He’s known to many as The Salami Guy, and that’s just fine with him. He’s more than earned the title, working each day to share his love of Columbus® products with customers and consumers alike. 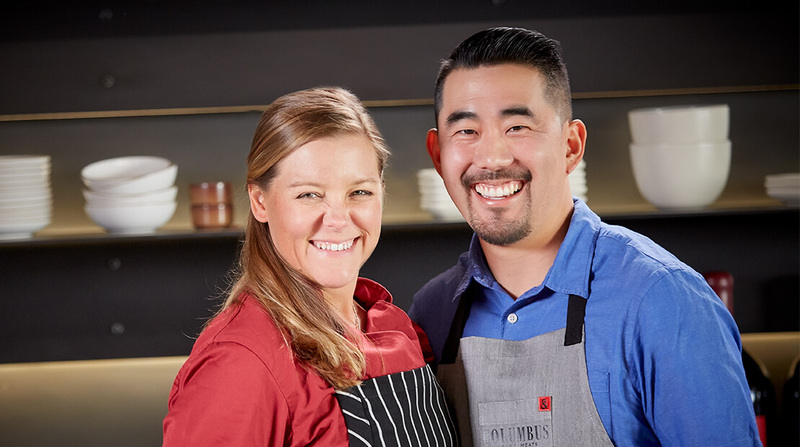 Evan Inada has had a nearly lifelong relationship with Columbus Craft Meats, a century-old company that specializes in artisan deli meats, including the “salame” that put it on the map. In a way, the company began recruiting Evan when he was a preschooler. That’s when he met his “best bud,” the son of the longtime head of sales for what was then Columbus Salame. “Growing up … we’d always have Columbus® salami packs. I’ve been snacking on it since I was a kid,” Evan says. With encouragement from his friend’s dad, Evan finally joined Columbus a year or two after finishing his degree at San Jose State University. His first job out of college was a short-lived stint in advertising down in southern California. However, he hated the traffic, so he returned to his native San Francisco area and signed on with Columbus as a sales merchandiser. Evan worked on the Costco account initially. It allowed him to get an understanding of how the business works. “I wanted to learn about curing salami and everything else that goes with it,” he says. At 101 years old, Columbus has a lot to teach. The company started in 1917 in the North Beach area of San Francisco. Its climate – close to that of Italy – made it ideal for making salami. 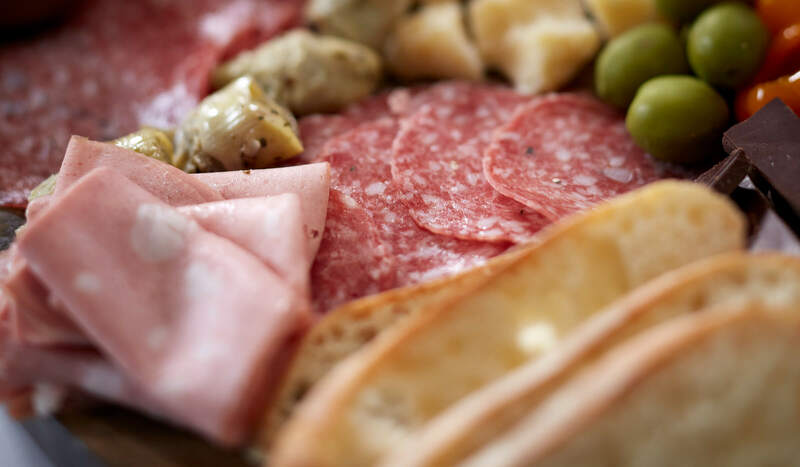 “One of our original owners, Mr. Domenici, was a traveling salumiere master, and he would travel from town to town, learning all these different recipes across the whole country. And when he moved to San Francisco, he found the climate extremely similar to that of his birthplace in Italy,” Evan says. Stories abound of how the windows of the North Beach facility would be open wide in the mornings during those early years, allowing the fog to creep in and regulate the temperature. To this day, all Columbus® products are made in the Bay Area, though modern technology creates the perfect environment now. What hasn’t gone by the wayside is the pleasant aroma of a million-plus pounds of meat dry-curing at any given time. “It’s like a nice little blanket you can just wrap yourself in,” Evan says. The rich history of Columbus is one of the many things that attracted Hormel Foods to the enterprise in 2017. It is now a wholly owned subsidiary, a relationship that is working well. The Hormel Foods approach to acquisitions involves conducting research up front, finding companies that have cultures, products and operating philosophies that closely align with its core mission and values. For its part, Hormel Foods offers financial and human resources, a global distribution network and a plethora of other bells and whistles germane to a company of its size and stature. “So, when they purchased us they really told us, “Just keep doing what you’re doing. You guys are doing it right, you’ve been doing it for 100 years,’” Evan says. It’s been 11 years since Evan joined the company. 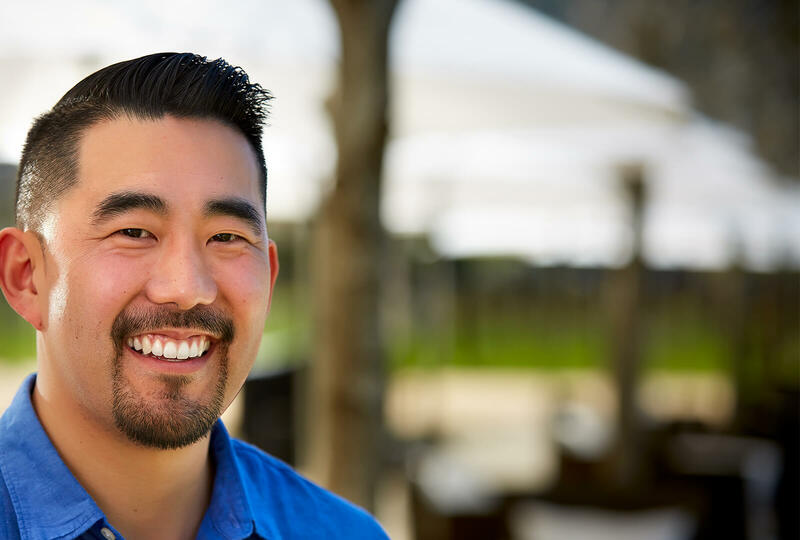 He’s since risen to the level of customer marketing manager, a position that includes traditional marketing responsibilities as well as a culinary component. 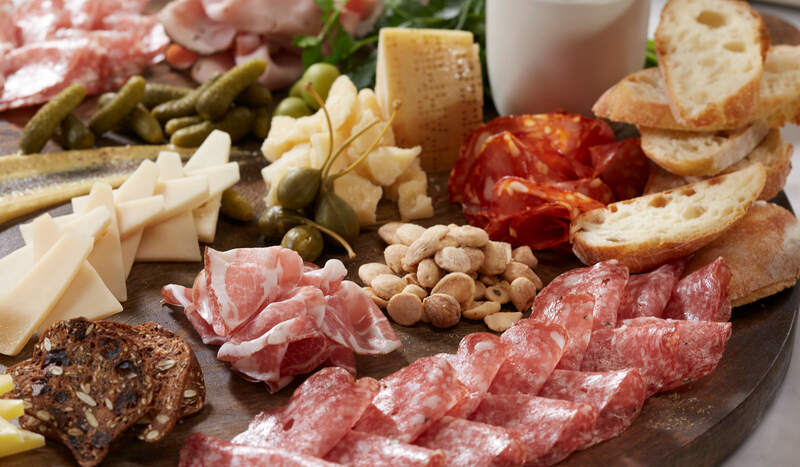 For example, Evan oversees sandwich programs, an endeavor with Tony Gemignani of Tony’s Pizza, and an effort that shows constituents how to arrange charcuterie platters. That is, artistically designed platters of prepared meats, relishes, fancy crackers and crisps, and more. The culinary outreach is a component of Evan’s role that he finds especially fulfilling. He was once a part-time sushi chef, which allowed him to explore his creative side and fund his passion for expensive food. Handling duties such as the charcuterie program for Columbus is even better, partly because Evan envisioned it and brought it to life. “I always thought it could be big,” he says, adding that it became an area of focus about five years ago. He began staging events where he showed markets how to make the art of charcuterie accessible to their customers. “We show them how to do it. Once they see that it isn’t intimidating, they can do it at home,” Evan says. It’s just nice to be around a place where people are like family. He’s busy with other things at home these days. Evan and his wife, Lynn, are the parents of 1-year-old Kira. She hasn’t sampled the famous salami yet, but she’s all about the turkey and ham, Evan says. “Salami will have to wait a bit,” he laughs. Rest assured, Kira won’t be left in the cold, given her dad’s love of the delicious cured meat. “You can’t go wrong with any salami, really. And you know, we make a lot,” he says. 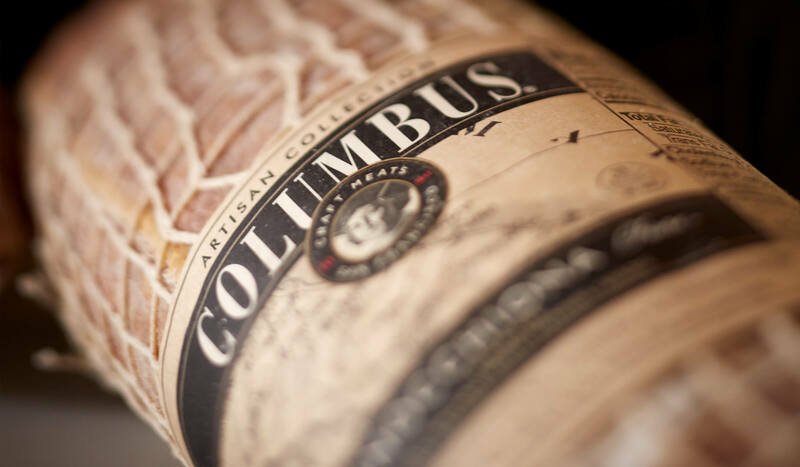 To clarify, Evan is suggesting you can’t go wrong with a Columbus® salami. He’s not alone in his assertion. Not only does the company make products to write home about, it’s a place with a strong culture that keeps employees coming back for more. In fact, it’s not unusual to find workers with 30-plus years of service. Perhaps that has as much to do with the flavor of the office as it does with the flavor of the product. “It’s just nice to be around a place where people are like family. We know each other’s names,” Evan says.